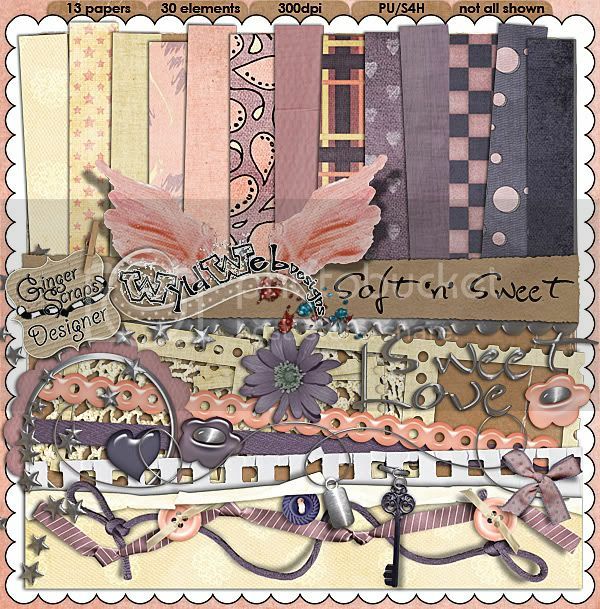 I have a new kit released this week, called Soft N Sweet! You have 2 chances to win a copy of Soft N Sweet! Visit Digishoptalk and Digiscrap Addicts to enter the contests! Hello my lovely bloggie readers, I have some wonderful news! 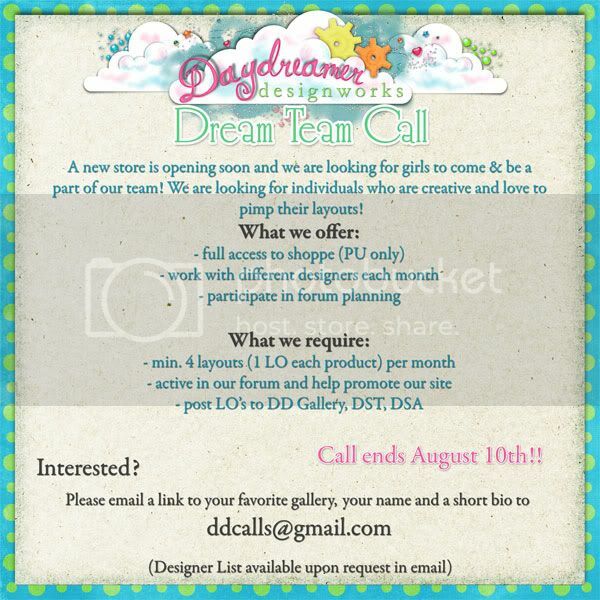 I have decided to join a new store in the fall, called Daydreamer Designworks! I will still maintain my home at Gingerscraps, but I am excited to work with these ladies at the new store. The store opens at the beginning of September and they are holding their store CT call right now! So if you want to work with some amazing designers and be part of a wonderful team, send in your application! And so you can show how excited you are, here is the new store blinkie!